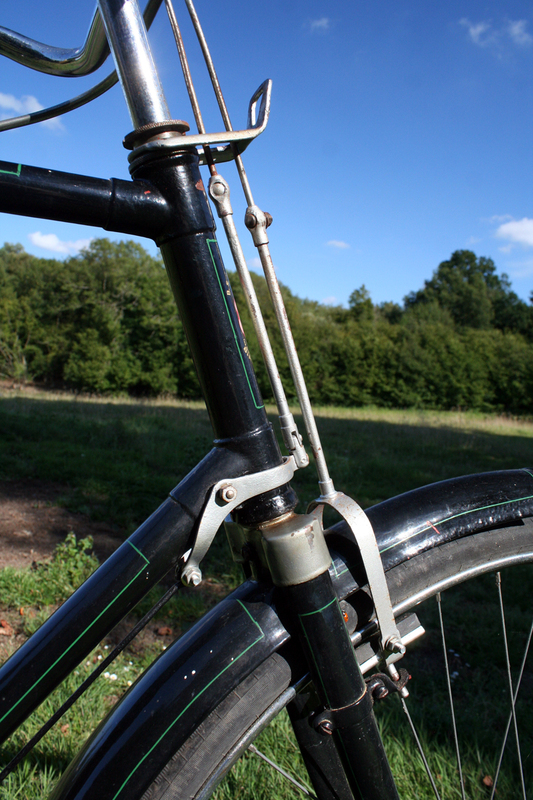 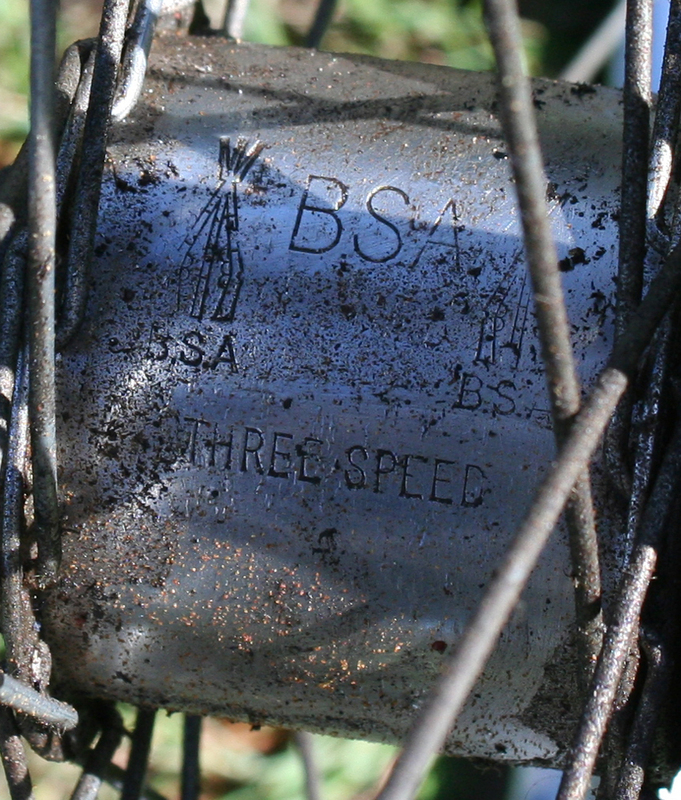 As you may have noticed in my comments in other pages on this website, it’s not easy to date a BSA. 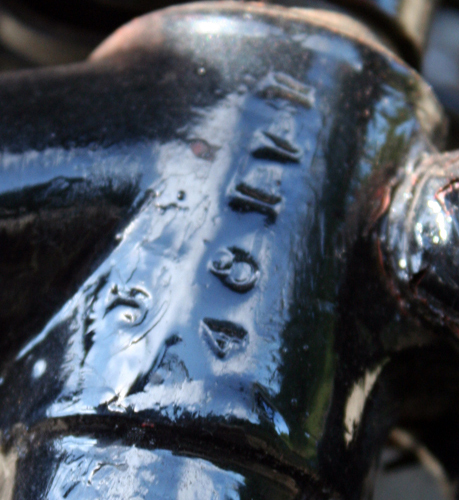 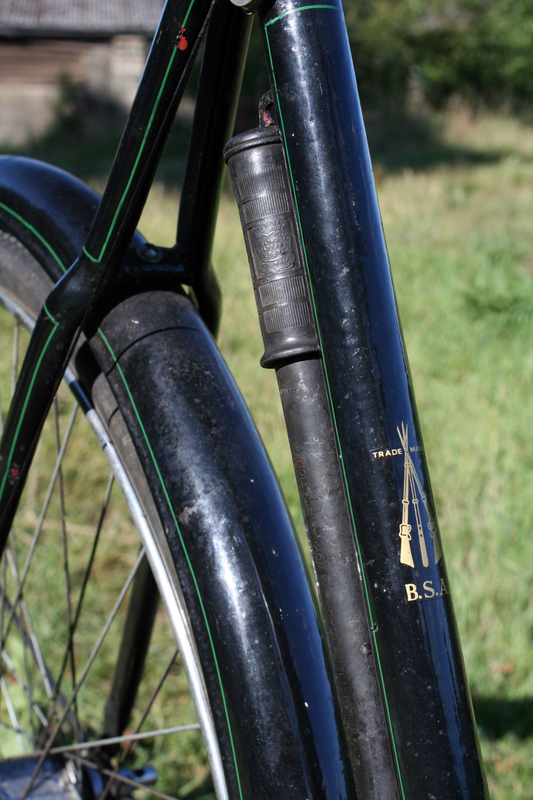 Luckily the marque specialist has managed to identify other BSA’s with a ‘J’ prefix on the frame number as 1938-1940. 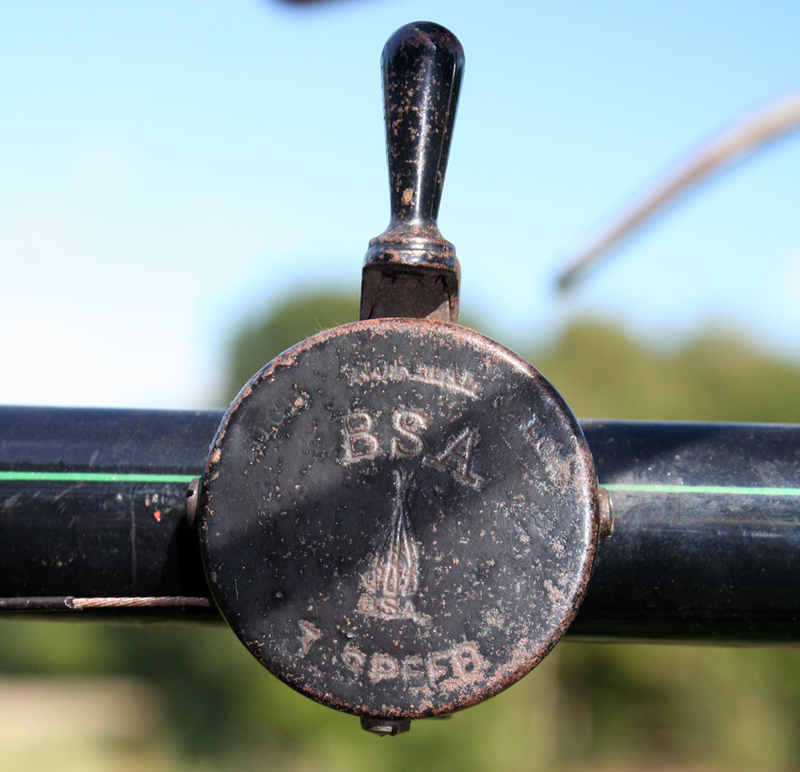 He also states that, as far as he can tell, BSA used cast metal head badges on all machines from 1939 (and on lightweight Reyonols tubed models from 1937), which suggests that this one, with a head transfer, is therefore 1938. 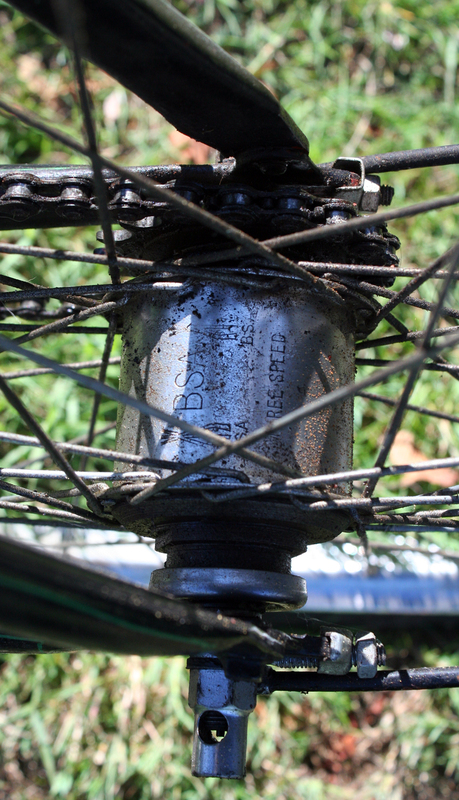 BSA offered various options for gears, brakes and frame sizes. 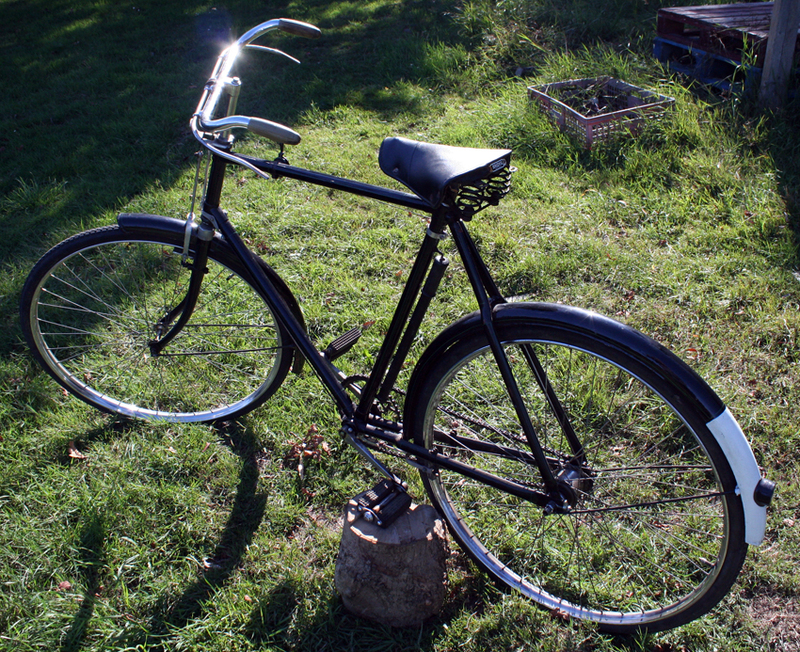 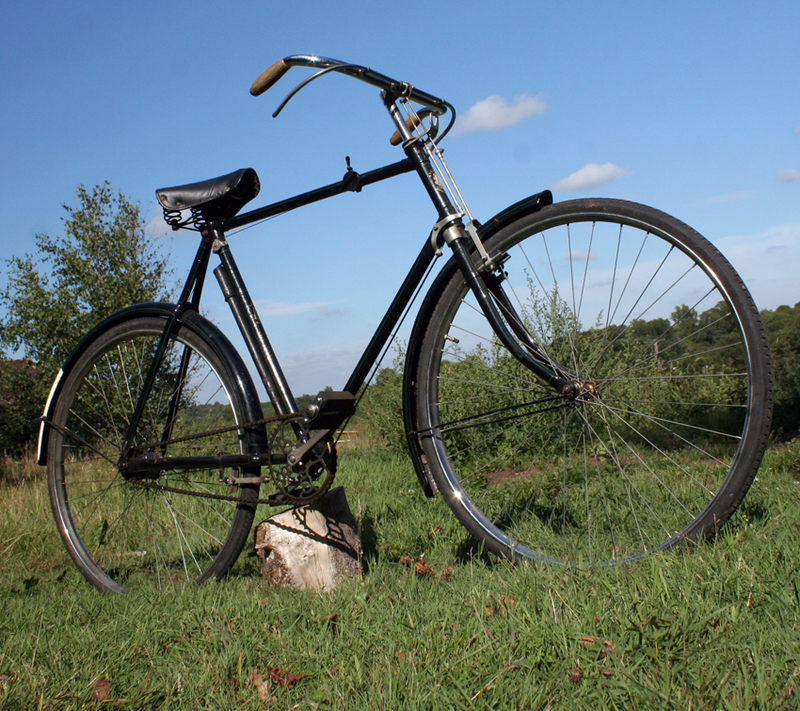 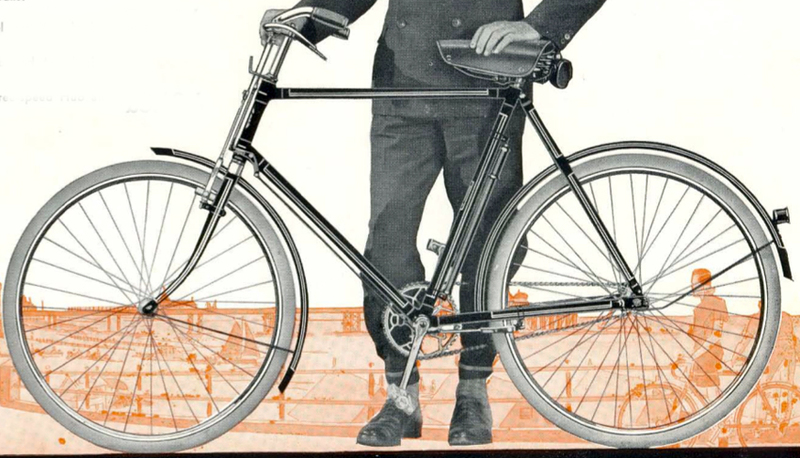 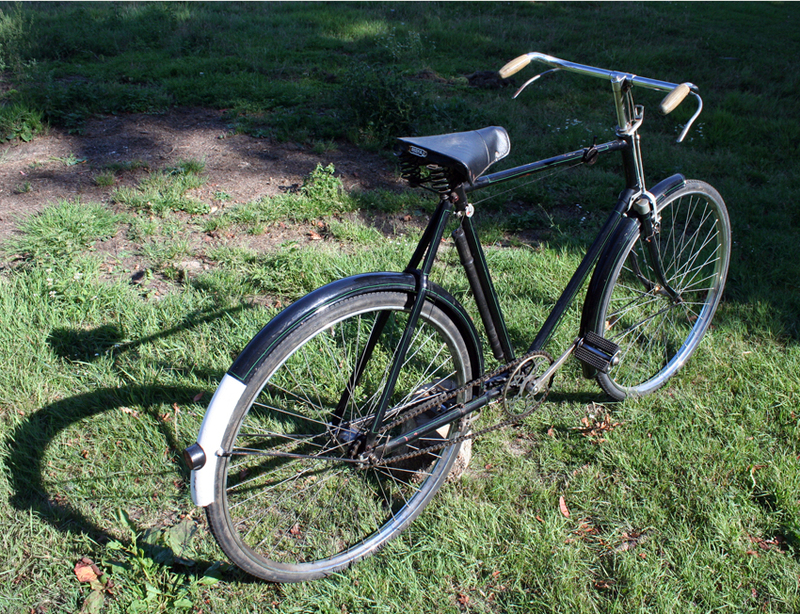 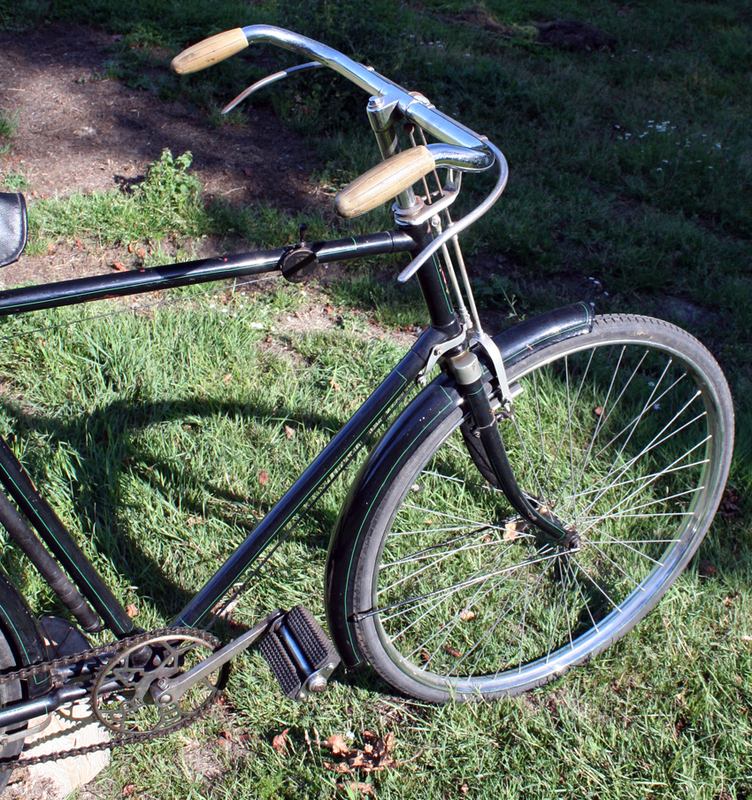 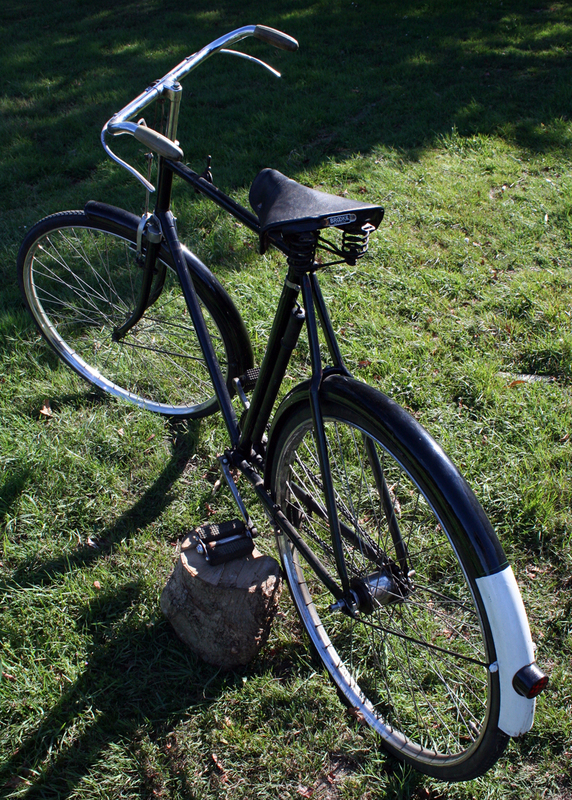 By comparing the 1938 BSA catalogue on the http://www.Oldbike.eu website (reproduced below), I can see that, with central pull brakes, 28 inch wheels and 24 inch frame, this model is the BSA Roadster Bicycle. 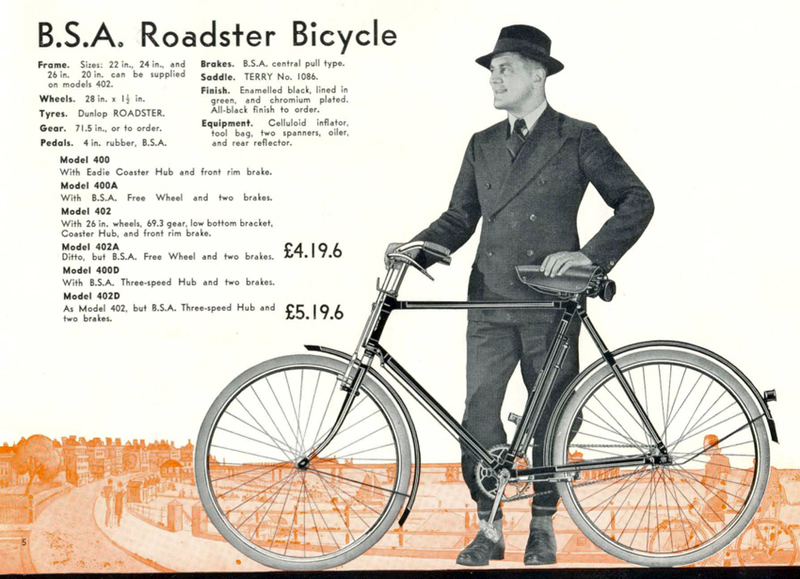 The BSA Three-Speed gear option designated the Roadster model as 800D, priced at £6 11/-. 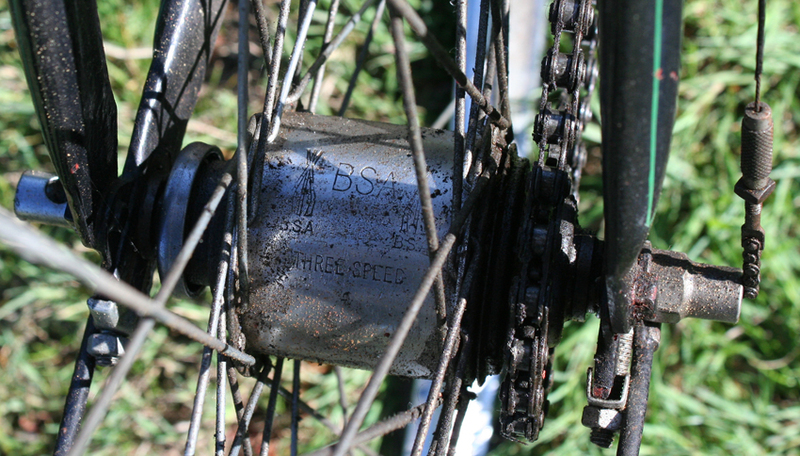 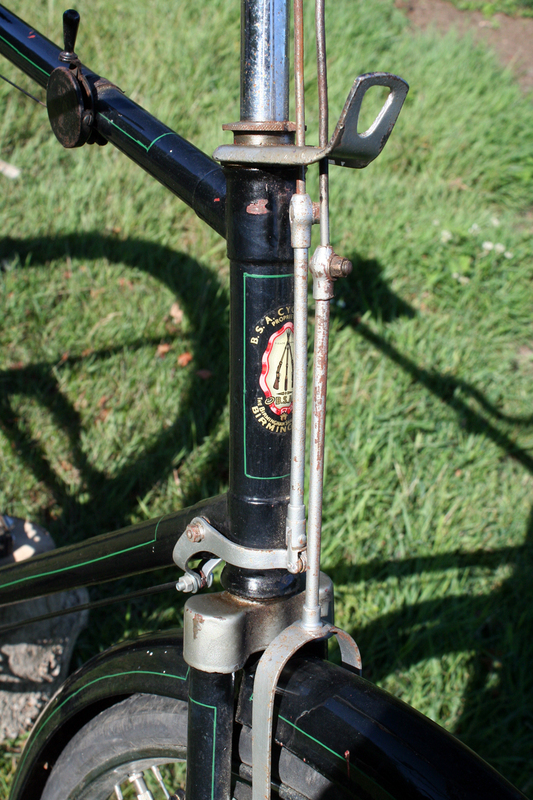 Having positively identified this bicycle, I hope these photos may help anyone else who’s trying to calculate the age of their BSA. 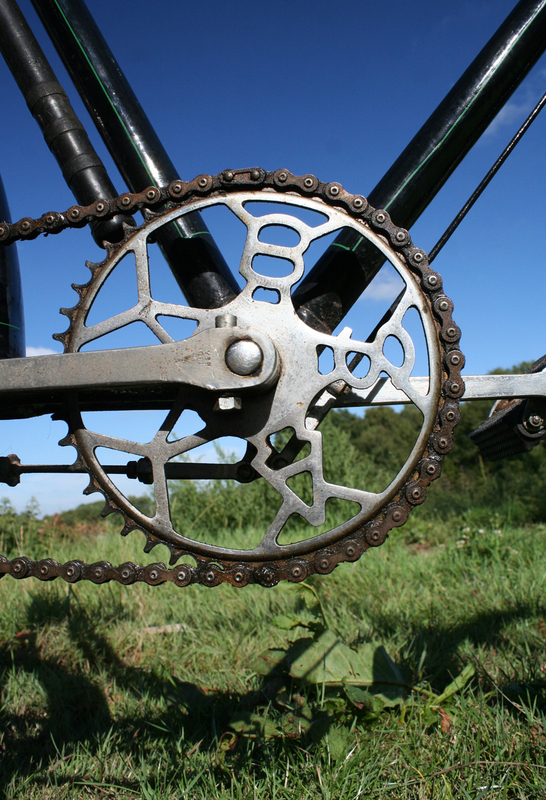 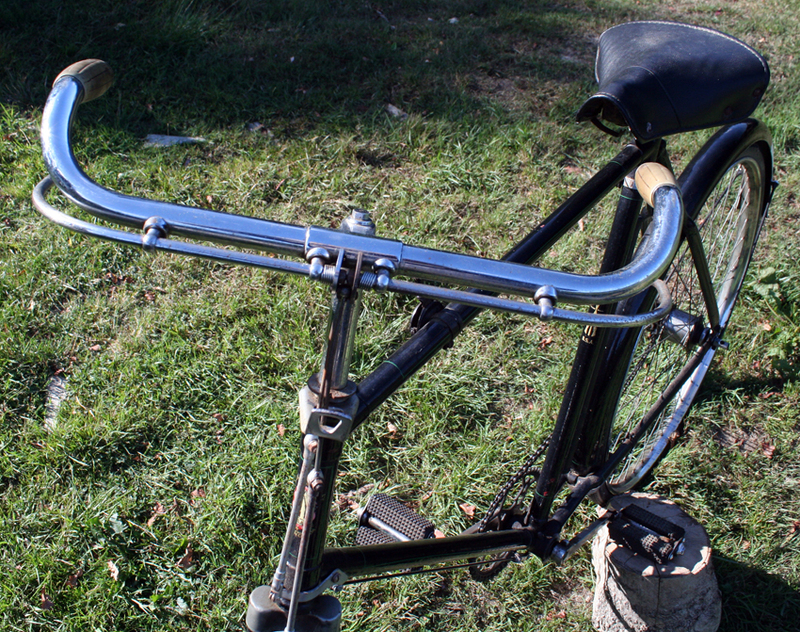 This particular bike is an older restoration. 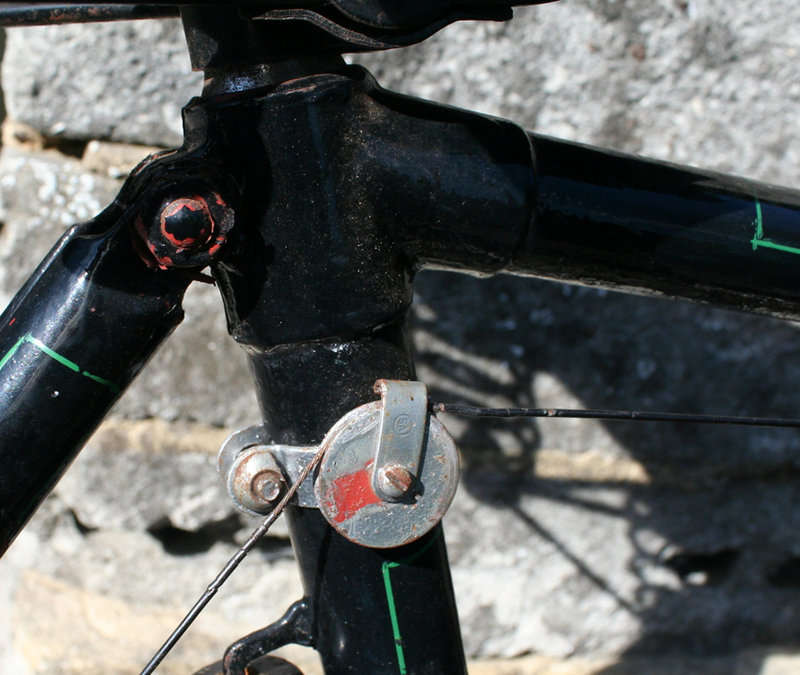 The paint is chipped here and there but, generally, it’s in very good condition. 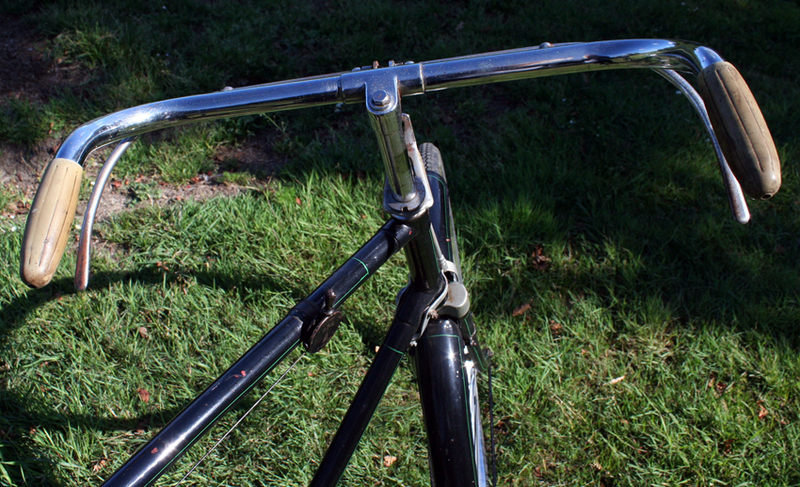 You could choose either a Brooks or a Terry saddle. 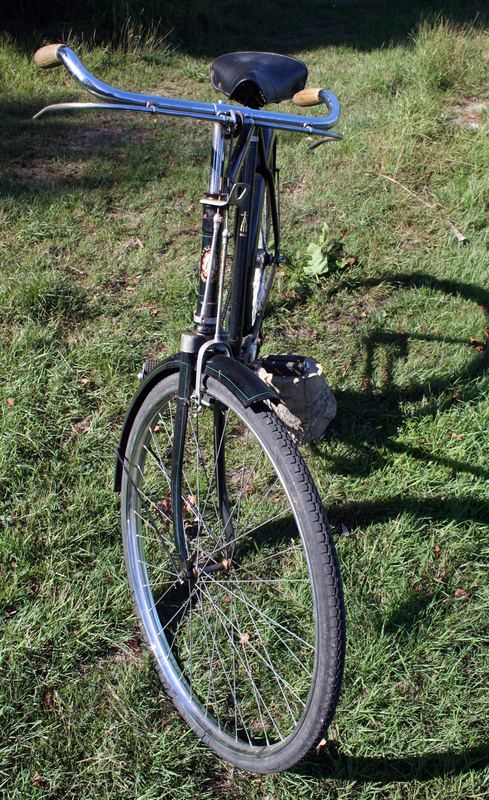 Most 1938 BSA’s had 26 inch wheels, with only three models fitted with 28 inch. 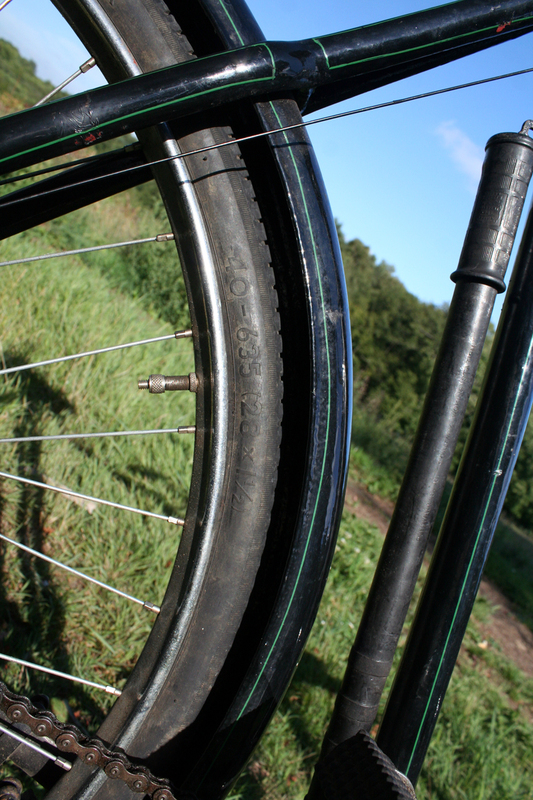 The tyres are 28 x 1 1/2.